Gmail seems to have deleted the attachment of an email I had sent to myself a while after I sent it. The reason Gmail hints at is that the file is detected as a virus (it's not): is there any way to get access to that file? What happens if a virus is found? 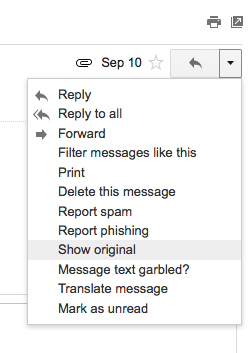 If Gmail detects a virus on an attachment, we reject the message and notify the sender. If a message that’s already in your account has an infected attachment, you won’t be able to download it. If an attachment you're trying to send is infected with a virus, Gmail will display an error message to tell you, but it won't clean the file. 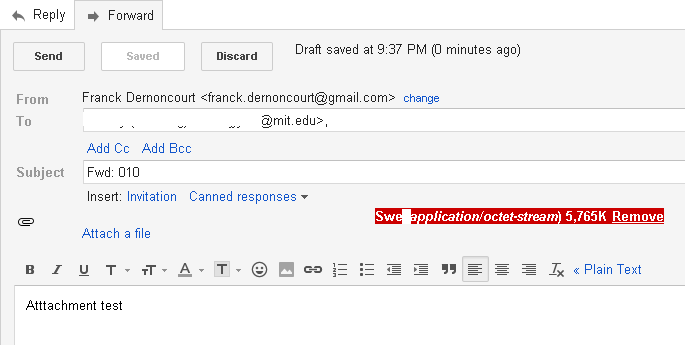 To send the message without that attachment, click the link in the error message that says Remove attachment and send. If Gmail detects that you're trying to send an infected attachment, try running your anti-virus software in case your hard drive is infected. If you don't have anti-virus software, you might consider purchasing or installing one of the popular applications so you can protect your computer and information from viruses. Is there anyway I can retrieve access to my file? You can download it by retrieving a back up of your email account with Google takeout. 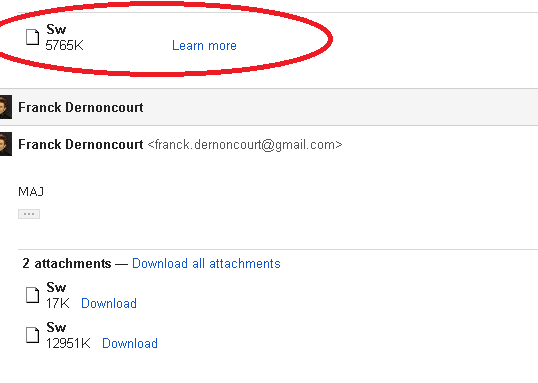 Note that you can select which labels you want to download, so no need to download your entire Gmail account. Also, it usually takes a few hours for Google to prepare the archive (depending on the size of your Gmail account). The back up of your email account is a .mbox, that you can open using Thunderbird + importexporttools addon. Windows MBox Viewer didn't work for me as my 1.4 GB .mbox file seemed to be too large for it (1.4 GB). Select the more options menu that is next to the reply button and then show original, the page could take some time to load since it will load the entire message with the attachments data in one page. After the page loads then select file -> save as, and save it as plaintext type with a filename of extention .eml for example email.eml. Alternatively you can select all the text and copy it (ctlr+a & ctrl-c), then open a simple text editor in your OS (textEdit on Mac OS, gedit/kate on Linux, or notepad on Windows) and paste the contents(ctrl-v) and save it. Then simple double click the file and it will open with the default email client, if not then download one (e.g. Thunderbird) or download a simple eml viewer. You can download the attachment in your phone using GMail client application for Android. It will allow you to do so (I am able to download). Creating archive is a long process. You can simply download it using a mail client program. I recently faced the same situation and used Thunderbird to download the attachments (Save All option -- saves all attachments related to a specific mail). Download attachment in Gmail that's falsely identified as 'Virus found'?